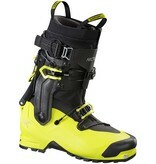 Let's cut to the chase: this is the first true ski/mountaineering boot ever made. Arc'Teryx has always been at the head of innovative backcountry product design, and this time they aimed their laser sights at the sliding sports. Fore-Aft walk mode? Check. 75-degrees of rotation? Check. 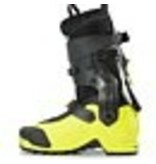 First ski boot with lateral rotation; wait, what did they just say? Do they mean the ankle moves 360-degrees like a mountain boot, then locks together for true ski performance off the summit? You heard that right. The same company to first bring you watertight zippers and laminate construction, changes the game once again. By bisecting the cuff in the back and incorporating a wire cable walk mode lock, the Procline is able to give a subtle 35-degree lateral flex. 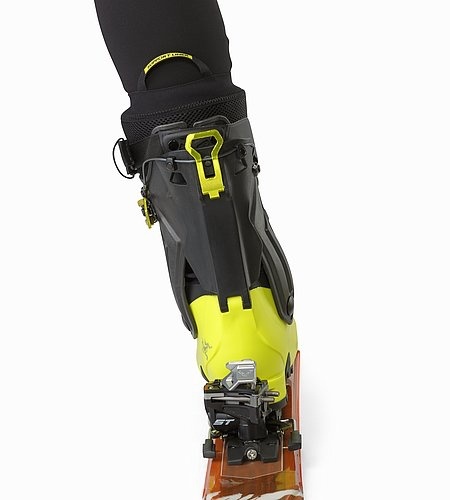 This means no more sliding in a traversing icy skin track, and it means a ski boot that moves from snow to technical ice without second thought. The boot sole length is shorter and the toe & heel welts are shrunk so they can take any mountaineering crampon, while the the calf-high waterproof gaiter is at home in deep powder or seeping spring ice climbs. 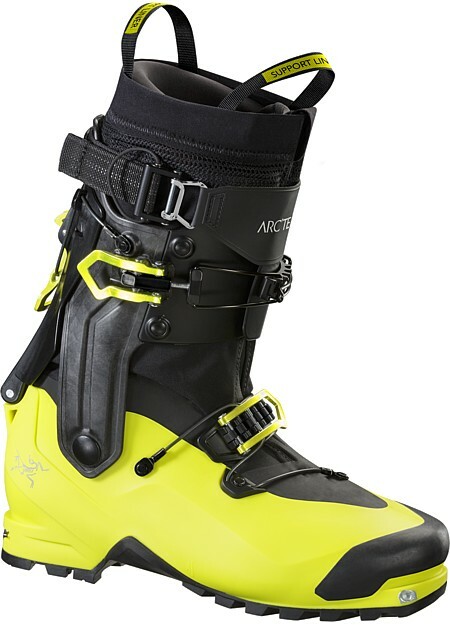 Arc6'Teryx redefined the demands of alpinists around the world to create this boot. 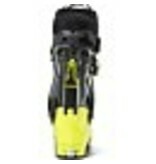 Why make a mountaineering boot that can ski when you can make a ski boot that climbs? And this boot delivers on both fronts. 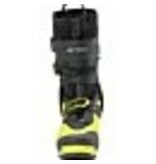 It includes everything you expect out of a ski boot, from the wide camming power strap to the tech to a full carbon fiber cuff. When the boot is locked in ski mode, it skis like a true alpine/touring boot, with a buttery progressive flex thanks to the Grilamid plastic shell.